Elephants have no natural predators, yet they are now endangered. The closest thing to a predator is lions preying on the youngsters of a herd. So why has the elephant population shrunk so far that the species is in danger of being extinct? As so often, the answer is humans. 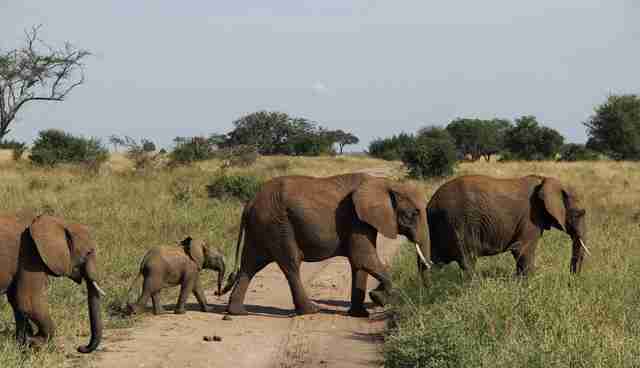 Wild African elephants have a home range of up to 11,000 square kilometers (approx. 4,247 square miles) - that is larger than Cyprus, about the size of Gambia or Qatar. Their habitat is based on more than just offering enough food to feed the herd; it also needs to be stimulating. Elephants are able to learn a range of things, use tools, and are playful. They need diversity to keep them entertained. Even in a herd, each animal likes to roam alone once in a while and the herd likes to migrate with the seasons. 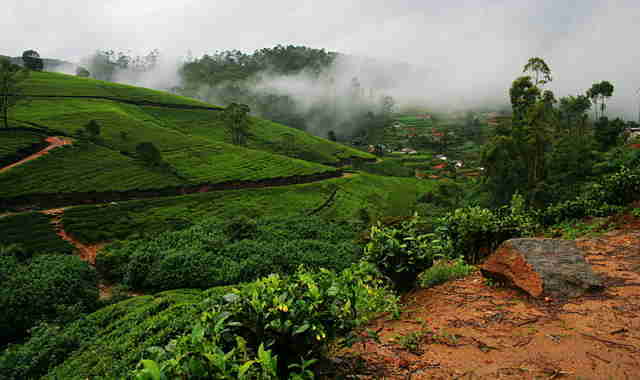 Migration is one of the biggest problems for the Asian elephants whose habitat is being broken up by plantations, logging, and human settlements along the rivers. The forests they used to live in and find sufficient fruit in have been fragmented; they are pushed out of their habitats by humans. This is not the same situation as when they migrate. The areas they are left with are less suitable and offer less food. And their migration is hindered by civilization: Roads and plantations run through their territory, breaking them into small groups and causing inbreeding. As wild animals, they do explore the settled areas and can destroy built up areas, which makes them a nuisance to farmers who will try to shoot or poison the animals. 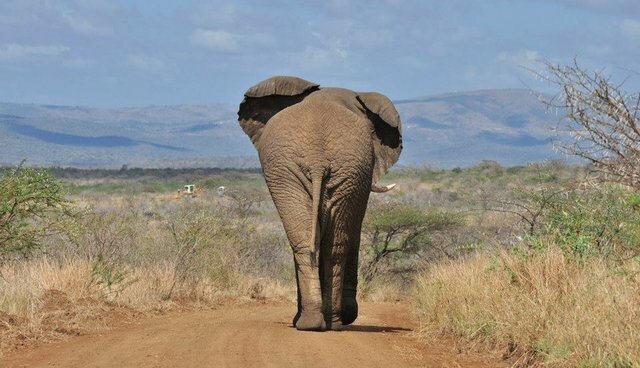 Elephants in Africa face the same fate of capital punishment for trampling crops. The growing population in Africa requires farmers to expand their agriculture and pushing the borders of animal habitat. 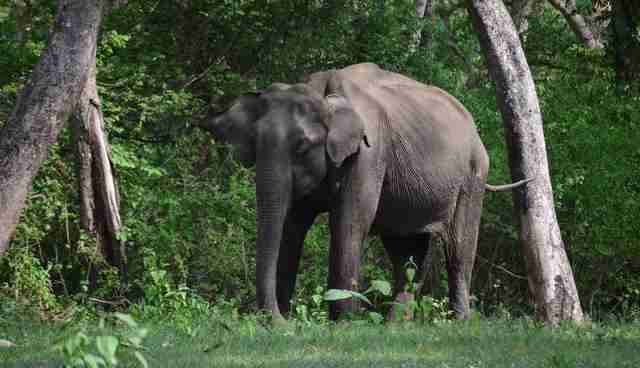 While the African elephant is under "vulnerable" on the ICUN Red List, the Asian elephant is already endangered. They used to have jobs transporting fabric and other goods and were later put to work in the timber industry. In the past 50 years, their work has been replaced by more effective ways of transportation, making the elephants and their keepers obsolete. 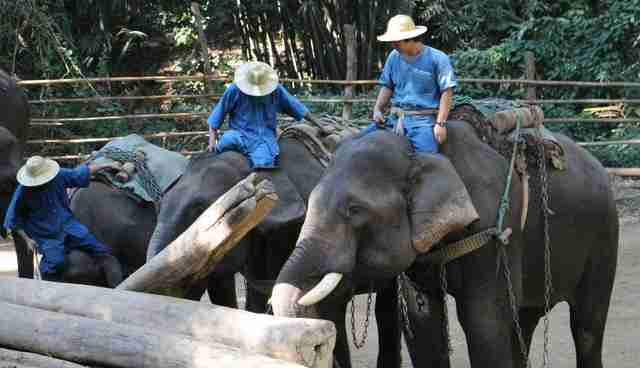 With no money to feed the elephants the 200 kilograms (approx. 441 pounds) of food they need a day, the animals go to less experienced keepers who don't care for them and abuse them or they are found begging for money in with their handlers, risking to get hit by traffic and suffer from the pollution of big cities. 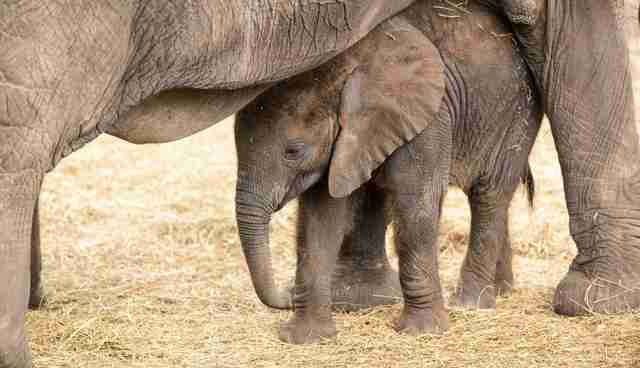 Young elephants are often removed from their mothers to use as tourist attractions, leaving them prematurely weaned. This isolation and cruel treatment often lets these animals die very young, often before they turn five, even though in the wild they can live up to 50 or 70 years. Their mothers are often killed if they try to protect their calves. Even though some Asian countries have banned the capture of wild elephants, it is still ongoing. In December 2015, wild animals including elephants will be banned from circuses in the UK. Research by The Elephant Alliance shows that in just eleven years, 31 circus elephants have died prematurely with causes reaching from viruses and illnesses to being shot and burned to death. Some were killed because they were deemed unmanageable. The danger of humans for elephants goes far beyond ivory poaching. They are being taken out of their environment, cared for badly, hunted down for their tusks, and their habitat is being destroyed. The only solutions to save the wild animal population is to try and protect the herds still in the wild and releasing unemployed elephants to their natural home. Although reintroduction isn't always easy or possible, some centers accommodate animals and letting them roam free, hopefully producing calves that will be released. by Claire Herbaux Join one of the Frontier projects caring for elephants in sanctuaries across Asia and Africa.